The environmental advocacy group, Friends of the Irish Environment (FIE), has filed a legal action against Ireland claiming that the government’s National Mitigation Plan (Plan) fails to provide for a reduction of greenhouse gas (GHG) emissions sufficient to protect the people of Ireland or to meet the government’s obligations under EU law. FIE asks the court to require the government to replace the failed Plan with a more ambitious strategy. 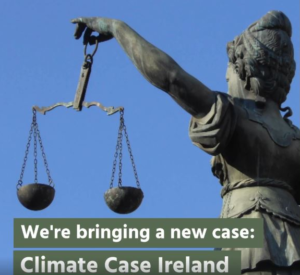 This national “Climate Case” was heard before the Irish High Court in January 2019 and awaits a decision by the court. In the recent proceedings before the Court, legal counsel for the Irish government argued, among other issues, that FIE had no right to bring the case on behalf of all Irish citizens and that the organization was trying to intervene in the national policy process. Then there is the larger, political question of who has the power, resources and commitment to attack in court governmental inaction that puts the people in jeopardy. The Mitigation Plan is blantly inadequate as it provides little if any concrete action to tackle, or mitigate, the disastrous impacts from climate change and there is no scientific and other serious dispute about the seriousness of those impacts. Recent and ongoing extreme weather events attest to this unfolding disaster. Following review of 1,185 written submissions on the question, two weekends of open public hearings, and deliberations, the Assembly adopted thirteen recommendations on climate change, reflecting broad endorsement of climate action. The recommendations represent a clear consensus by a representative body of all citizens and provides the government with a blueprint of specific, concrete actions that the citizens want the government to undertake, including: for the State to retrofit public buildings, and use low carbon vehicles; for the public to pay higher taxes on carbon intensive activities; for the assessment of critical infrastructure (energy, transport, water and communications) to prepare for extreme weather events, with priority spending on the most vulnerable of these; for greater community ownership of future renewable energy projects; for the end of subsidies for peat extraction and use of the savings for peat bog restoration, with some protection for workers affected; for greater priority of public transportation rather than new roads; for mandatory measurement and reporting of food waste; and, perhaps most controversially, for a tax on GHG emissions from agriculture. When one compares the Assembly Recommendations to the government’s National Mitigation Plan, we can see that the citizens are far ahead of the government. Unfortunately, there is no sign that the government will catch up and act on the Assembly recommendations. Indeed, it immediately rejected out of hand any tax on agriculture emissions. 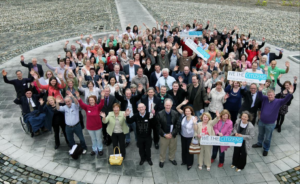 The community at large, as represented by the Assembly, as well as the panel of experts on the CCAC, and the national press have spoken. The Irish public is demanding that its government take action to effectively protect it from the threats of climate change. Yet it also seems clear that the Irish government refuses to listen, or is incapable of doing so. So it is time for the courts to listen. And who shall they listen to? Certainly the national press, the government’s own appointed climate experts and a Citizens’ Assembly are unable to bring the government to court. Someone else had to step in. We can be grateful we have those with the commitment, credibility and expertise of FIE, or An Taisce, or Peter Sweetman to take on the burden of bringing these failures to the attention of the courts. Let us hope that the current Climate Case provides an opportunity for the courts to offer the Irish public the necessary protections against the impacts from climate change that the Irish government seems incapable of delivering. If the government will not listen to its Citizens’ Assembly or its own body of experts on climate change, then maybe it will listen to the courts. Recall that lawyers for the Irish government also claimed in this Climate Case that FIE was trying to intervene in the national policy process. Assumedly, the government’s lawyers were raising this as some sort of affront or impertinence on the part of FIE. The reality is that FIE is indeed attempting to influence the national climate policies, or lack thereof, of the Irish government through the lawsuit. That is what concerned citizens can, and sometimes must, do. 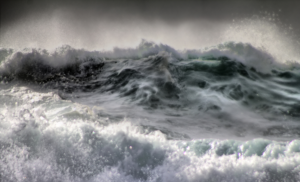 Bringing a lawsuit is not always legally successful but nevertheless it can be critical in focusing the attention of the public on the inadequacies of the government in dealing with climate change. By so doing it can help develop public opinion and generate public action, and expose the failings of those who pretend to govern. That can translate into voting behavior and that always gets the attention of the politicians running the government, however temporarily. Robert Emmet Hernan, “EEB Report on Access to Justice and Litigation in the EU” in the Reports section of the current issue of irish environment (February 2019).